There isn’t a year in which it’s a bad idea to gift Van Cleef & Arpels’ iconic Alhambra collection, but if you must choose, 2018 is the time. This year marked the 50th anniversary since the maison launched its highly successful fine-jewellery line, and what that means is that the storied jeweller dug through its archives to find some of the most exciting variations of Alhambra, releasing them in exciting incarnations using new techniques that are sure to delight not only their wearer this holiday season, but those who behold them as well. Delicate and memorable, it’s a perfect gift for someone who values heritage and elegance, but shines with her own individuality and personality. 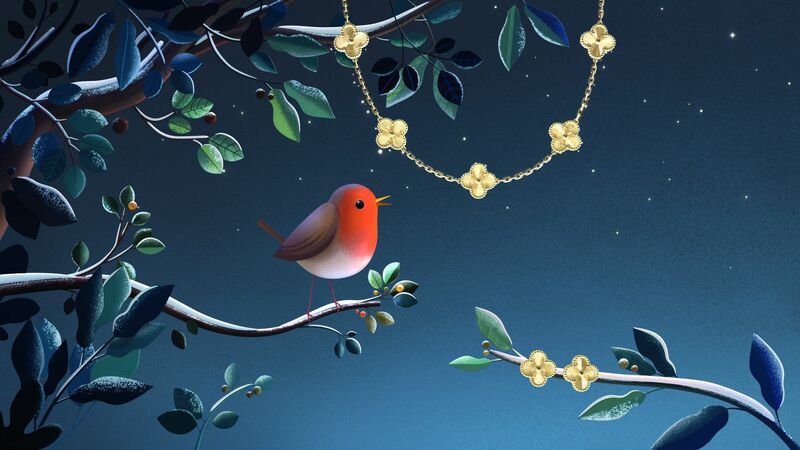 Consider the trio of a 10-motif necklace, 5-motif bracelet and earrings, forged of yellow gold and utilising guillochage, an engraving technique developed in 1910 and more often reserved for timepieces and precious objects, which imbues each four-leaf clover with a subtle relief effect that refracts light and catches the eye. The level of savoir faire applied upon these pieces is a luxury that only its wearer can really appreciate-and truly, what is more exceptional than this shared secret? Part of Alhambra’s runaway success in 1968 was that it suited so many tastes and styles, and its appeal has transcended time. With a power suit, it is a discreet adornment that proves ability and femininity are not mutually exclusive; with an evening gown, it allows the wearer’s true beauty to shine; with a casual dress, it adds simple elegance; with jeans and a T-shirt, it epitomises carefree grace. It can be bohemian as a sautoir, girlish as a single pendant, bold as a geometric watch face. You can own it in endless incarnations, without ever tiring of it. Its time-honoured proportions have changed not even slightly over half a century, and the four-leaf clover by which it is inspired is a symbol of luck. “To be lucky, you have to believe in luck,” Jacques Arpels once said—and it’s certain that anyone would feel lucky to receive this talisman in any form this Christmas.